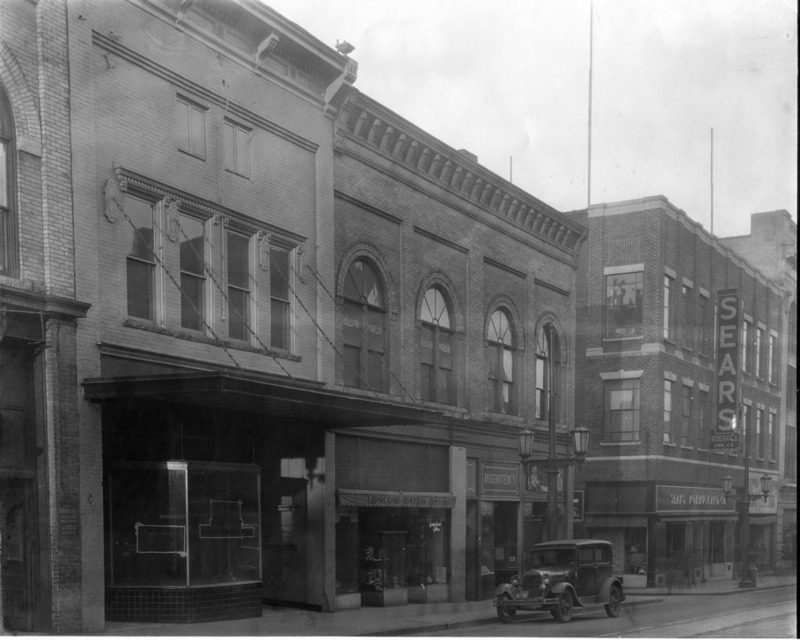 301 West Main was the home of the C.D. Kenny Company, a local tea, coffee, and sugar store, soon after the turn of the century. The C.D. 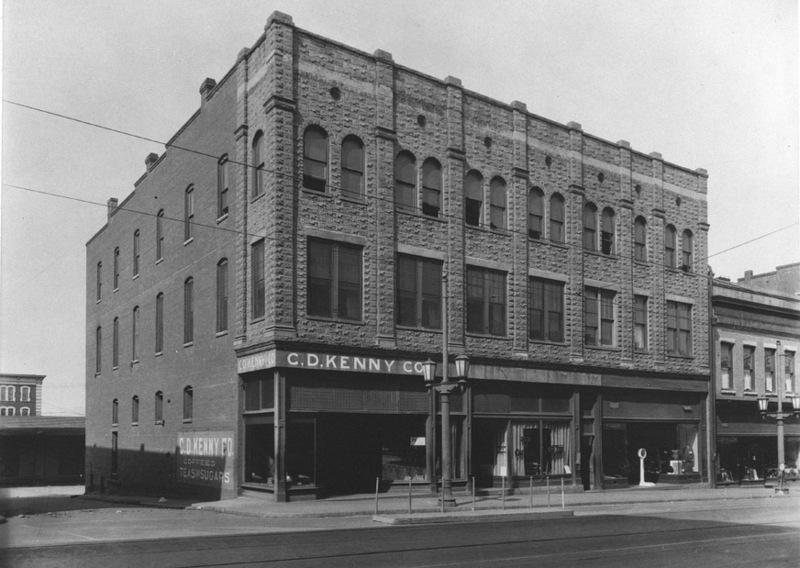 Kenny company subsequently moved to 327 W. Main St.
A facade change occurred sometime during the 1920s, and the building became the first location of Sears and Roebuck in Durham. 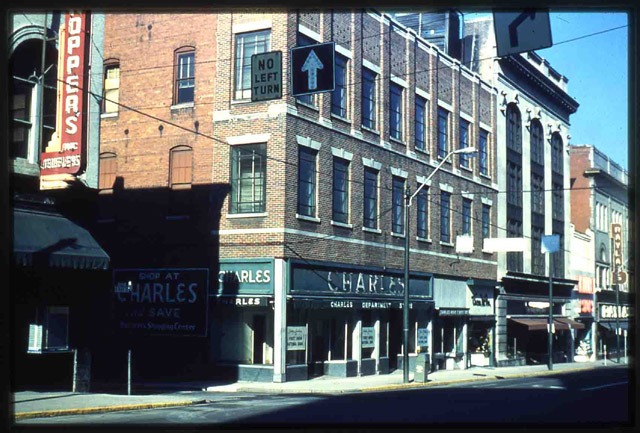 When, in 1947, Sears moved down Main Street to their new building (site of the current health department), the building at 301 West Main became the Charles Department Store. 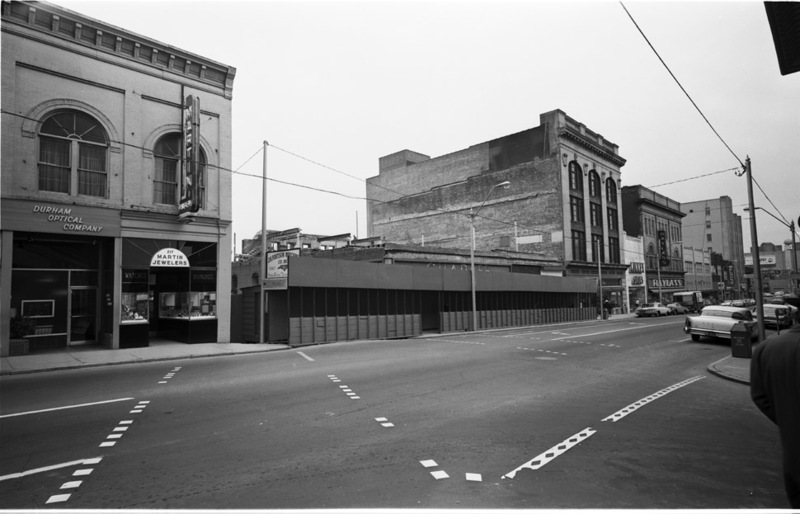 This view of the store is from the mid 1950s. The store was not to survive the 1960s, however. 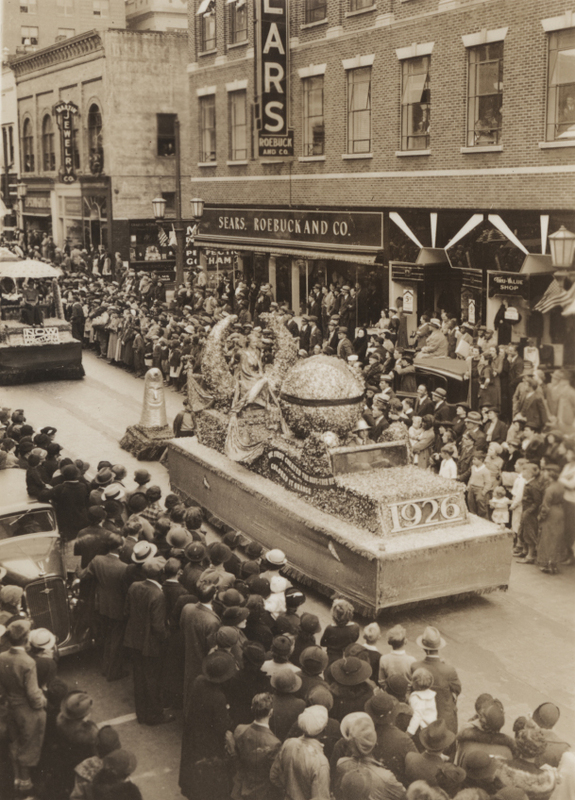 In 1962, the First Union Bank decided this would be a good spot for a new building. Modernism can be done well, but its starkness of ornament and free-form nature mean that it can also be done very, very badly.